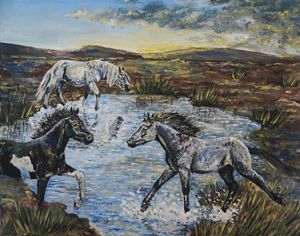 A Dartmoor scene done in acrylics on canvas, showing a herd of ponies playing in a bog, surrounded by the cotton-like flowers of cotton grass. 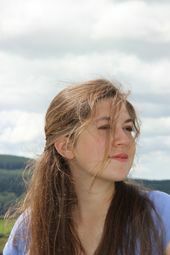 I am French, of Franco-Vietnamese origins and was born in Paris in 1996. I still live there and study Medieval History at the Paris-Sorbonne University, my speciality being medieval horses. 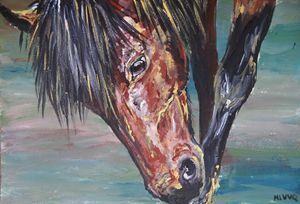 These beautiful animals have always inspired me and I am also a keen rider. 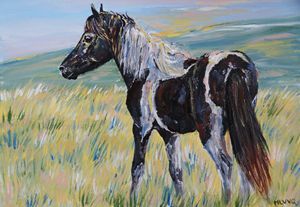 As well as being an aspiring historian, I am a self-taught painter and photographer. I've been drawing ever since I could hold a pen: the first drawing I can actually remember doing, aged 4 year old, was of...a horse! Recently, I decided to take my painting more seriously by devoting more time to it. I began to take commissions and at the same time to develop a personnal body of work focusing on Dartmoor Hill Ponies. 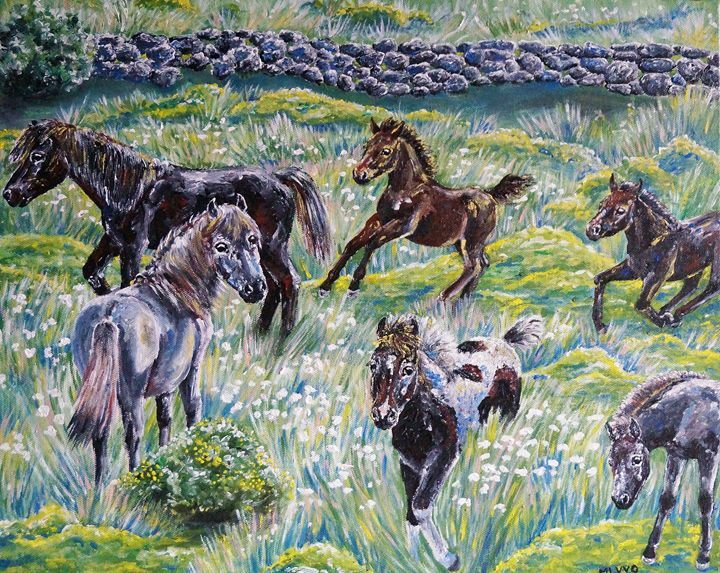 These belong to farmers but they are untamed and roam freely on the wild and beautiful moor of Dartmoor (UK). 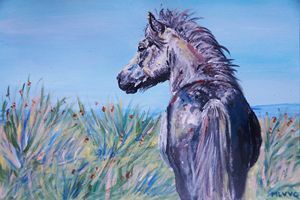 They are an obvious inspiration for both my paintings and my photographs: their varied and interesting colouring, their beautiful conformation and movement make wonderful subjects of these ponies, who deserve more recognition.